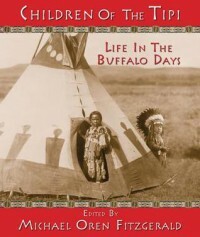 Children of the Tipi: Life in the Buffalo Days - "A Single Word ... "
I found the photographing to be excellent, the quotes from the Chiefs & Elders full of knowledge and insightful. I enjoyed this look in to the Native Americans of the Mid-Western regions. This would be a wonderful addition to my personal library and will be recommend it to my village library also as all age groups can appreciate this book. I give it 5 out of 5 stars.